Even if the fire broke out due to short circuit as has been claimed, why it couldn’t be doused at an initial stage? At least 24 patients were killed and more than 120 were injured after the SUM Medical College Hospital in Bhubaneswar caught fire in the evening of October 17. This 1200-bed hospital, which claims having the largest intensive care unit in Odisha, turned into a tragic site when fire was spotted in the second floor of the building and panic-stricken patients tried to find their way out in the midst of thick smoke. The fire, suspected to have started from a short circuit in the dialysis ward in the first floor of the hospital at around 7.30 pm, spread quickly to the second floor, reaching the ICU. While seven critical patients with ventilators were admitted to the dialysis ward, 11 patients were present in the ICU. Almost 120 firefighters were mobilised to douse the fire and rescue patients, who had to be carefully dropped by tying them with clothes. According to officials, 14 patients were ‘brought dead’ at the Capital Hospital and eight more to the AMRI Hospital. Be it the 2004 Kumbakonam school tragedy or the Stephen Court fire in Kolkata in 2010, most fire incidents in the country had spiralled out of control due to lack of precautionary measures, improper safety measures and failure to deal with emergency situation. The Monday’s incident, which reminded us of the fire tragedy at AMRI Hospital in Kolkata on December 9, 2011, once again reflected negligence in hospital management. While the PM expresses “deep anguish”, ministers feel “deeply pained” and many send “heartfelt prayers”, people of this country continue to become victims of systemic collapse of hospital governance. Even if the fire broke out due to short circuit as has been claimed, why it couldn’t be doused at an initial stage? Questions like these were asked by Ramesh Olekar of Karnatak University and Mahesh Bendigeri of Global Business School, when they did a study on AMRI’s hospital governance practices. It had revealed how faulty construction of building with lack of proper ventilation and construction of an illegal storeroom packed with inflammable articles (chemicals and medical waste) turned the fire incident into a tragedy. 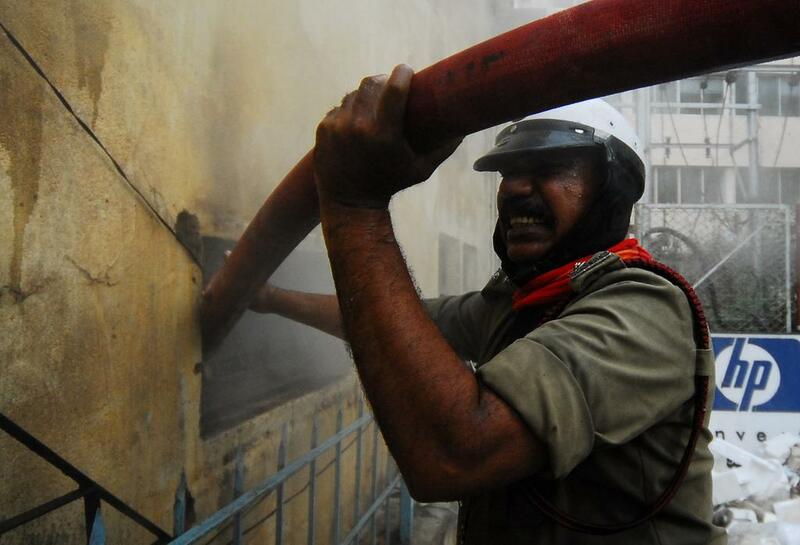 The study also found that AMRI lacked adequate fire-fighting equipment and even trained staff to handle a situation. Moreover, the electric cables did not have the mandatory fireproof casing and the hospital's firefighting equipment did not work on time. Three patients died in the fire tragedy. The main exit gate of emergency was locked and the patients could not come out of the building after the fire broke out. Hospitals are classified as institutional buildings under the National Building Code 2005. The National Code clearly enlists requirements of institutional buildings, which includes keeping the area around a hospital always clear for easy access of fire tenders. It wasn’t the case in AMRI Hospital incident. Smoke barriers and smoke compartments for restricting the movement of smoke are recommended. They allow horizontal evacuation/transfer of patients to an area of refuge on the same floor. Not less than two exits shall be provided for every floor, including basements, of the building. All exits shall be not less than two metres in width, including patient bedroom doors, to permit transportation of patients on beds. The minimum width of corridors serving patients bed rooms in buildings shall be 2.44 metres. No combustible material of any kind shall be stored or used in any building or section thereof. Minimum quantities of flammable materials like chloroform, ethyl alcohol and spirit shall be allowed to be handled or stored. The National Association of Fire Officers recommends the hospitals and nursing homes to have active fire protection system, giving details of fire fighting installation, fire prevention and awareness measures and building plan. Besides periodic inspection of hospitals for fire safety and regular safety drills, there are other factors that need to be taken care of. Hospital buildings must provide a map of the floor outlay and emergency exists must be clearly identified. Safety Audit should be conducted on periodical basis to check the functioning of fire extinguishing equipment. Training program to staff members on use of fire extinguishers should be given priority. 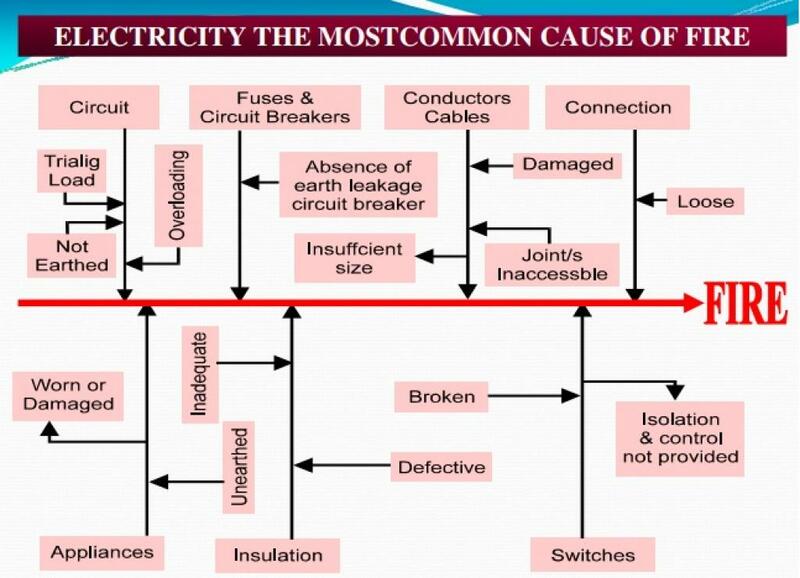 All electrical installations shall be periodically checked and tested by competent electrical engineers. All loose electrical wiring shall be replaced immediately. The basement, if any, should not be used as store room or for dumping materials that may cause fire. Since fire safety is a state responsibility, each state deals with it in different ways. There is lack of a unified command at the Centre that can help oversee fire rescue management. The Centre might consider passing a strict legislation to have greater say in framing fire safety rules for states to follow. Currently, No Objection Certificate (NOC) from the fire department is not required in some states. The NOC should be made mandatory for all the hospitals.